As we look forward to a new year of exciting cruising I wanted to again thank all the members who participated in last year’s cruises. 2015 was a fun year and we had good turnout for each trip! 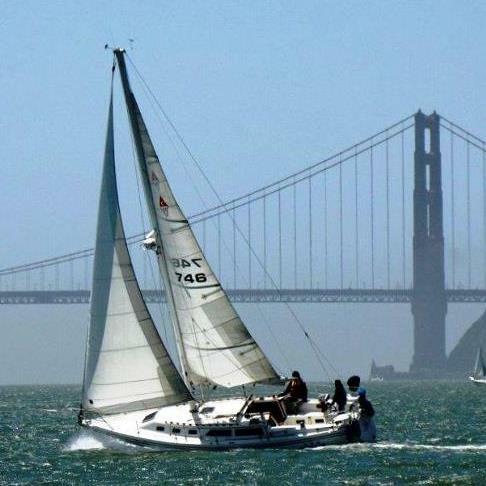 This is a great trip for those with little coastal experience who want to edge their boat under the Golden Gate and out of the bay for a while. Expect to see lots of the marine life during the cruise! During our last trip we saw whales, dolphins, otters and way too many crab pots! The former Capitol of California offers some great shopping and dining within a few blocks of the marina. It’s a short cruise to this park like marina with great views of the south bay and nearby dining opportunities. Those of us on the estuary might take the back door route via the San Leandro Channel for nice change of scenery! All cruises will feature dockside cheese and wine gatherings in the afternoon and the usual tall tales and maintenance tips from our wonderful members. I’ll be putting more information out to everyone as we get closer to each departure date and I always have an eye and ear out for additional activities and destinations. Please, and I cannot stress this enough, check your calendars and indicate your availability as soon as possible for each cruise. It certainly helps us with planning and securing slip and meal reservations. For those of you on Facebook, I’ve created a C34 Fleet 1 Cruising Group to post pictures and information about upcoming cruises. Or just search for “C34 Fleet 1 Cruising” while on Facebook. I’m looking forward to fun cruising and great member turnouts in 2016!